View the event summary video here. Prospects for fall-run Chinook salmon, born during the height of California’s historic drought, are greatly improved because of the efforts and collaboration by local, state and federal agencies. 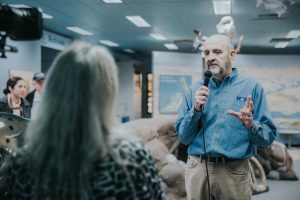 That’s the main message delivered November 16 at an event hosted by the Sacramento Water Forum and Regional Water Authority (RWA) at the Nimbus Fish Hatchery in Rancho Cordova. Fall is the time of year that the Chinook salmon make their upriver run through the Sacramento region, followed in winter by steelhead trout. Fishery and water supply experts from the California Department of Fish and Wildlife (CDFW), Water Forum and RWA described how their individual agencies are working to create better outcomes for salmon and steelhead while also enhancing water supplies for people and the environment. “This year has already been a rather interesting one,” said Laura Drath, Fish and Wildlife Interpreter at the Nimbus Fish Hatchery. Staff at the hatchery opened the fish ladder three weeks early this year to accommodate the arrival of returning adult fall-run Chinook salmon that hatched in 2014 at the Coleman National Fish Hatchery in Battle Creek and strayed to the American River. These fish were trucked to the Delta as fry and released near Rio Vista and the San Pablo Bay as part of a massive effort to improve their chances for survival in a year of poor river conditions. CDFW is partnering with the U.S. Fish and Wildlife Service, with the support of the Bureau of Reclamation (Reclamation), to collect eggs at Nimbus Fish Hatchery and return them to the Coleman Hatchery. Come spring, the Hatchery will release 4 million smolts back into the river who are entirely dependent on in-river conditions for their survival, and that’s where the Water Forum is actively working to improve habitat. The Water Forum is a diverse group of business and agricultural leaders, citizens groups, environmentalists, water managers and local governments in Sacramento, Placer and El Dorado counties who agreed to a comprehensive suite of water management and ecosystem restoration actions focused on protecting the lower American River and providing reliable water supplies for the Sacramento region. 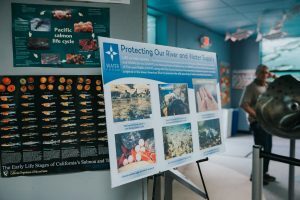 Through yearly gravel restoration projects along the lower American River, for example, the Water Forum and its partners have developed essential spawning and rearing habitat. This has included creating over 30 acres of spawning beds by placing more than 100,000 tons of washed and sorted gravel upon those spawning beds and developing nearly a mile and a half of side channels, which are prime salmon and steelhead rearing zones. Working directly to improve habitat for fish is one critical part of improving prospects for salmon and steelhead. Reducing reliance on the American River for water supplies is another. 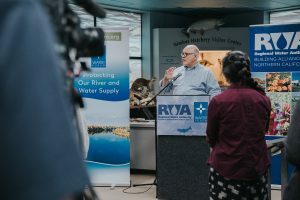 “The region’s municipal water suppliers are committed to the Water Forum’s efforts to enhance the fisheries of the American River not just because it’s the right thing to do, but because it is really one of the keys for making our water supply secure for the future,” said John Woodling, who serves as Executive Director of the Regional Water Authority, representing 21 urban water providers in the Sacramento region. Over the past several decades, local water providers have been working to increase water efficiency while also improving water supply reliability. “The Sacramento region uses about the same amount of water now as it did in the year 2000 even with 400,000 more people living here,” Woodling said. 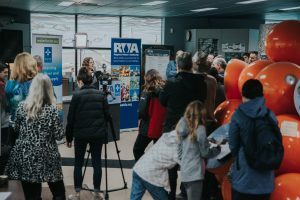 RWA members have constructed facilities to better move around the region and are sustainably managing groundwater to ensure this resource is available for use during drought so that more water can be left in lower American River for fish and wildlife. These actions, combined with a wet year in 2017, means that the Sacramento region is “well situated to serve the needs of residents and help contribute to water that’s necessary for the environment in 2018 no matter what hydrologic conditions bring,” Woodling said. 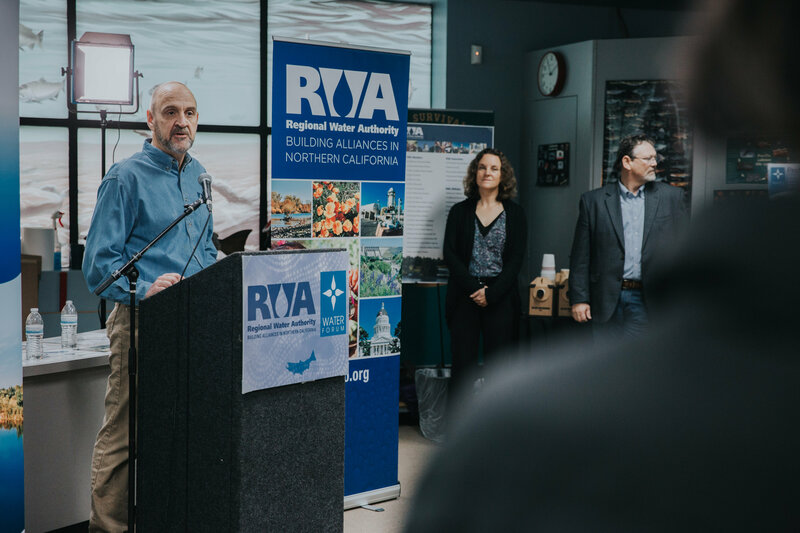 The event concluded with moderator Robert Dugan, Vice President of the Sacramento Metro Chamber and Chairman of the Placer County Water Agency Board, providing some parting thoughts about the Sacramento region’s collaboration.